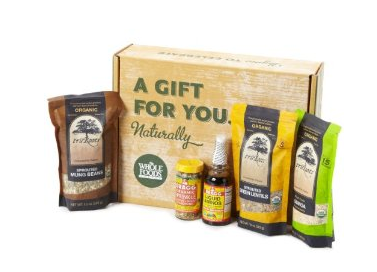 Amazon: Whole Foods Gift Box and Kids Craft Box up to 50% off! I’m wrapping up some of my Christmas shopping on Amazon (my absolute favorite place to shop) and I thought I’d pass a couple of deals on to my wonderful readers. Currently, Whole Foods Gift Baskets are up to 50% off. The one picutred above is $24 and contains Organic Quinoa, Organic Sprouted Mung Beans, Organic Sprouted Green Lentils, Bragg Liquid Aminos, Bragg Organic 24 Herbs & Spices Sprinkle Seasoning and 4 recipe cards. 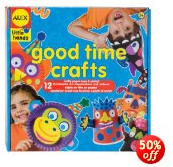 Amazon is also offering 50% Off Select Kids’ Craft Sets by ALEX Toys . My kids received a set like the one pictured above last year and we were very impressed with the quantity and quality of the crafts in the box.